We all struggle with our own bespoke beauty issues, whether that's chronically smudging eyeliner, ineffective under-eye concealer, or persistently flat hair. But excess facial hair belongs to its own special realm of beauty concerns. It's not only bothersome and time-consuming to remove, but it can also truly affect a woman's confidence. We're all familiar with the classic hair-removal methods—over-the-counter creams, waxing, and tweezing. 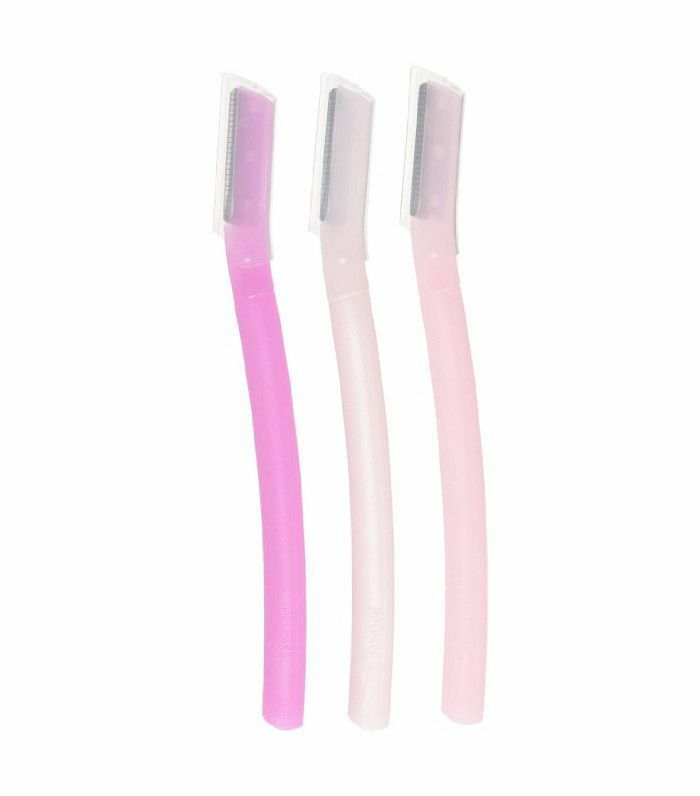 Although these are popular options, they're not always beneficial to your skin (personally, the redness, sensitivity, and irritation that persists for days after waxing my overgrown eyebrows is unbelievable). Not to mention these methods are so annoyingly temporary. Is there anything better out there? We posed this (rather urgent) question to a team of skincare and hair removal experts, and thankfully, the answer is a resounding yes. Keep reading to learn about six expert-approved methods for getting rid of unwanted facial hair! Dermaplaning is a great option for removing unwanted hair while also providing the skin with a gentle exfoliation. There's even evidence that making it a habit can keep signs of aging at bay. Allison Tray, the proprietress of Tres Belle Spa in Brooklyn, says that a professional dermaplaning session can yield results that last up to a month. An added bonus? Dermaplaning increases the efficacy of your skincare products. 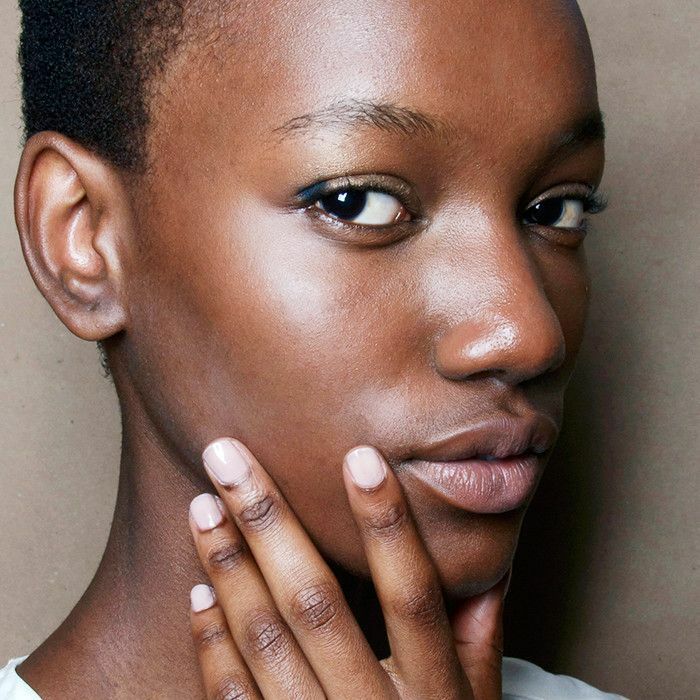 "When the skin is exfoliated lightly from the treatment, products are able to penetrate deep into the dermis, therefore leaving skin bright and plump," she says. If you can't make it to a professional regularly, it's easy enough to DIY with these picks from Shiseido. Trace the razor gently and carefully around the eyebrow, chin, sideburns, and upper lip. According to Jane Scher, RN, an NYC-based esthetic nurse and the CEO and co-founder of the American Plastic Surgery Center, laser hair removal is the "gold-standard" of hair removal methods. Thanks to modern technology, the process is almost painless and typically removes all hair in only two or three treatments. But there's a catch. The lasers only pick up color, so if you have light hair, the results won't be nearly as dramatic. As Garrett Gause MD, the Director of Medical Affairs at Ideal Image, explains, "Laser light works by targeting the pigment in the hair follicle, destroying the follicle which prevents the hair from returning. Our hair grows in stages and at any given time the hair follicle might be in a dormant or sleeping cycle. The laser will target the hair when it's in the growing phase so it takes several treatments to get the best results." Intense Pulsed Light, or IPL, as it's referred to, is another hair removal method many recommend for its efficacy. According to dermatologist Tess Mauricio, MD, "IPL at-home hair removal provides the longest lasting results, as it works toward permanent hair reduction by stunning the active hair follicles, breaking the hair growth cycle, and preventing future hair growth. Shaving, waxing, and hair removal creams provide temporary removal, but do not prevent future growth, which is what you want to do." It just so happens IPL can greatly improve other dermatological issues such as hyperpigmentation and sagging skin. Scher recommends IPL for peach fuzz or light hair that wouldn't respond well to laser hair removal. 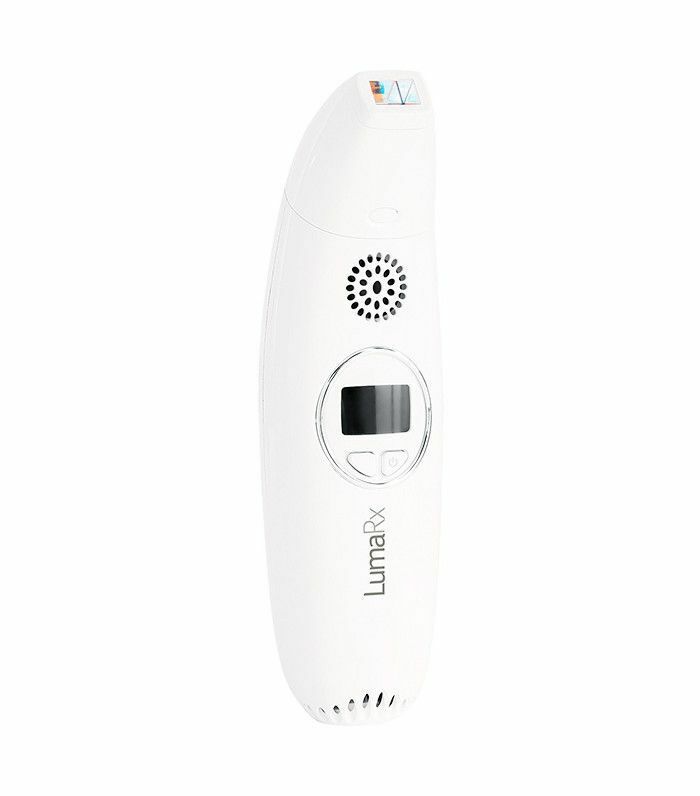 Her IPL device of choice is Lumecca. "It removes the light hair while also tightening the skin, closing the pores, evening skin tone, and building collagen," she says. "You only need about four treatments and your peach fuzz is gone." Since laser hair removal is catered specifically to dark hair, Arash Akhavan, MD, the founder and owner of the Dermatology Laser Group in New York City, says electrolysis will better suit those of us with lightly pigmented hair (think blonde, gray, or white). He also points out that it can be a much less expensive option than laser hair removal if there are only a few bothersome hairs present. Do keep in mind, though, that electrolysis isn't without some possible side effects. "Electrolysis is typically a more tedious option, and it carries a little bit more risk of causing skin discoloration around the hair follicles as a side effect," Akhavan says. Be sure to consult a certified and experienced professional in order to minimize possible side effects. 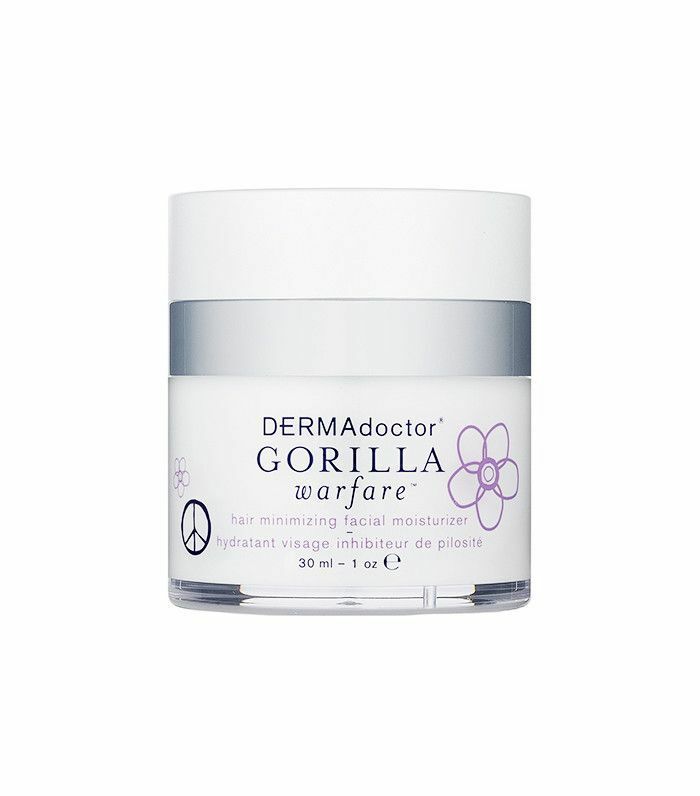 According to NYC Dermatologist Debra Jaliman, this prescription cream is formulated with eflornithine hydrochloride, which slows the growth and thickness of facial hair. Apply twice daily, and after 4-8 weeks, facial hair will be dramatically affected. Technically, you still have to remove the excess facial hair, as growth is halted, not stopped completely. However, Dr. Jaliman has seen otherwise. “people who use Vaniqa find it effective. Some find that they do not need to wax or use depilatories. Whatever hair removal method you use, try this hair minimizing moisturizer to keep those smooth results around longer. Its gentle formula uses thirteen different botanicals to reduce the appearance of excess facial hair. Next up, read about five skincare products you shouldn't buy from the drugstore, along with three you should!